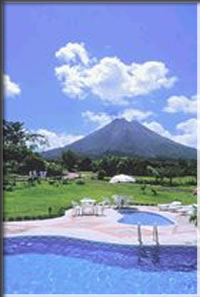 Our representative will welcome you to Costa Rica and transfer your hotel. We recommend to take the afternoon San Jose city tour. Overnight. This is our most successful guided roundtrip! It is the perfect introduction to the Costa Rican natural wonders! This trip will show you the majestic crater of the Poas Volcano and the romantic waterfalls of the Central Mountain Range. You will be delighted enjoying the Tabacon hot springs while observing the Arenal Volcano lava flows! Experience the lushness and wildlife of our Caribbean rainforest on your trip to Tortuguero! Try a canopy tour ( adventure ).